As soon as the holiday season begins, excited youngsters start their wish lists. Although it’s a tradition, it’s also a potential source of frustration and unhappiness. Not being able to buy their dream gift, or not having the funds to buy as much as they may be expecting can result in Christmas morning meltdowns. 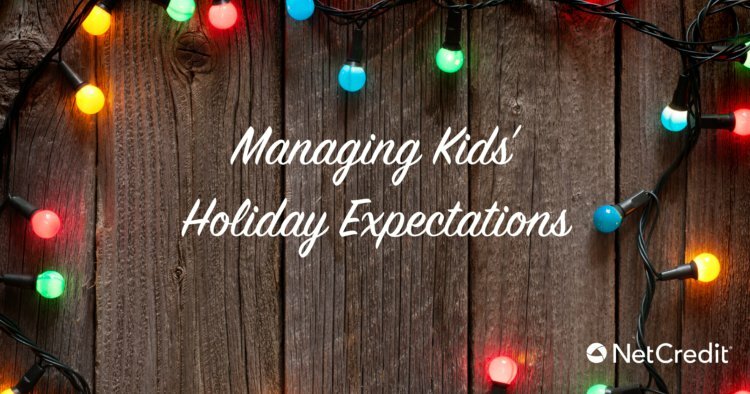 In order to avoid these as much as possible, we asked a couple of experts for their advice on how parents can help to manage their kids’ expectations during the holiday season. Teach them to manage their disappointment. “Teach kids to react politely if they are disappointed with the gift they receive. Teach empathy with kindness by helping your child imagine what it feels like to see a disappointed face on the receiver of the gift,” says Dr. Walfish. Place the emphasis on giving instead of getting.